"Madamo nga Salamat ha Alternative Indigenous Development Foundation, Inc. ngan ha Coca-Cola Foundation Philippines, Inc. ha ira bulig agud makatindog kami nga mga para-uma han Barangay Lanawan, MacArthur, Leyte" (Thank you very much to Alternative Indigenous Development Foundation, Inc. and to Coca-Cola Foundation Philippines, Inc for the help assistance in order for us to stand and recover again." Typhoon Yolanda struck heavily as it landfalls in the eastern part of Leyte in November 8, 2013 damaging all crops especially coconut (the major crop of eastern Leyte), human lives, properties and infrastructure. Barangay Lanawan, MacArthur, Leyte, is an upland community of the Municipality of MacArthur with 67 households and the main crops produce are corn, coconut and root crops (cassava, gabi, camote) and banana. It was a tremendous experience we had, we could not imagine what was happening. The wind blew stronger and the roof of our houses were all blown up. We evacuated at the Barangay Hall. After the typhoon, we all saw that our coconut trees were all damaged. Corns, bananas, cassavas were all damaged. We do not have something to eat. Relief good was so scarce because we are at the outskirt and an upland community. Our Barangay Captain, Hon. Michael de Luis, attended all the callings from the donors for us to avail relief goods and other services especially potable water. It was through the recommendation of Mrs. Lydia Ligahon, whose husband works at the Alternative Indigenous Development Foundation, Inc. that our prayer was answered, the need of a potable water system. 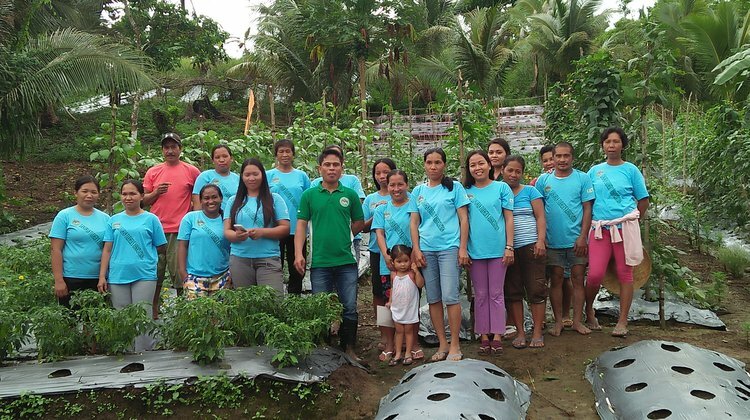 A blessing came to us when the staff of the Alternative Indigenous Development Foundation, Inc. (AIDFI) visited our barangay last January 7, 2014 and surveyed the spring source. The surveyor together with Project Coordinator, Jose Moven Ligahon, called for a barangay assembly and informed the community that the ram pump project is feasible in our community. However, there were some requirements to be fulfilled like the bayanihan and legal documents. These were then prepared and signed by the owners and the Barangay Captain. AIDFI also organized us into an organization. The Community Facilitators taught us how to manage our project. Leadership Training Seminar, Simple bookkeeping were taught to us. Together with our officers, they registered our association to the Department of Labor and Employment (DOLE). Job opportunity was also embedded in the project wherein our husbands were hired as laborer and the women were also part of the labor force in order to finish the project on time. AIDFI also provided us a seed capital for our livelihood and enterprise project. (AS NARRATED BY CLAIRE DE LUIS, the chairperson of Lanawan Farmers Association). 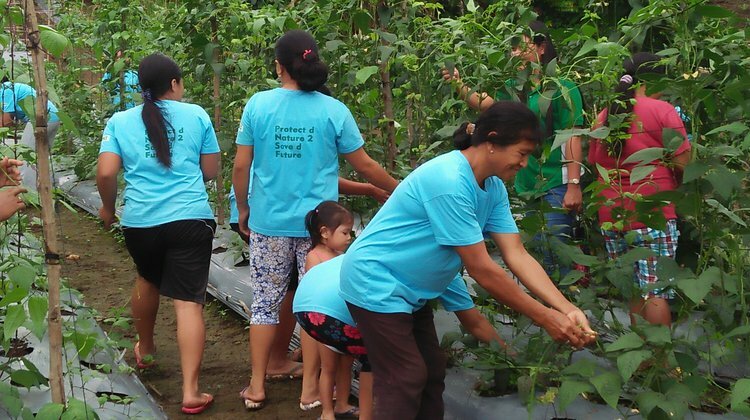 After three (3) years, the Lanawan Farmers Association had stand up and regain their lives. 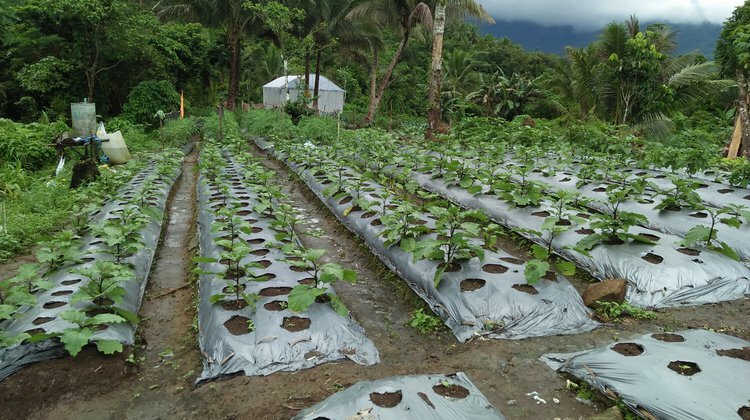 Today, the association had already bought two hectares of land and developed it into an organic farm supplying high value vegetables in Tacloban City. An organic piggery of seventy five (75) heads, a corn mill and a farm to market road was accessed by the association.